Last night was the Lynn Woods Relay. Four people make up a team and each run 2.5 miles. 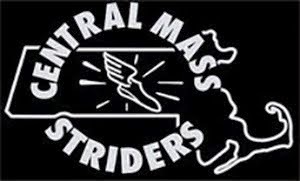 The Central Mass Striders men won the masters and senior divisions. 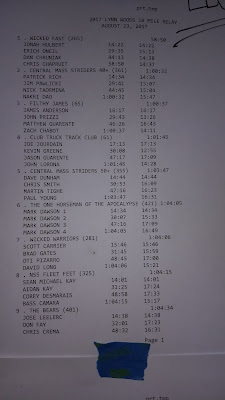 The masters team of Patrick Rich, Jim Pawlicki, Nick Taormina, and Nakri Dao kept the 2nd place overall team position in the end and a combined time of 1:00:32. The Central Mass Striders 50+ team of Dave Dunham, Chris Smith, Martin Tighe, and Paul Young broke the Lynn Woods Senior team record, won the division, and placed 5th overall. 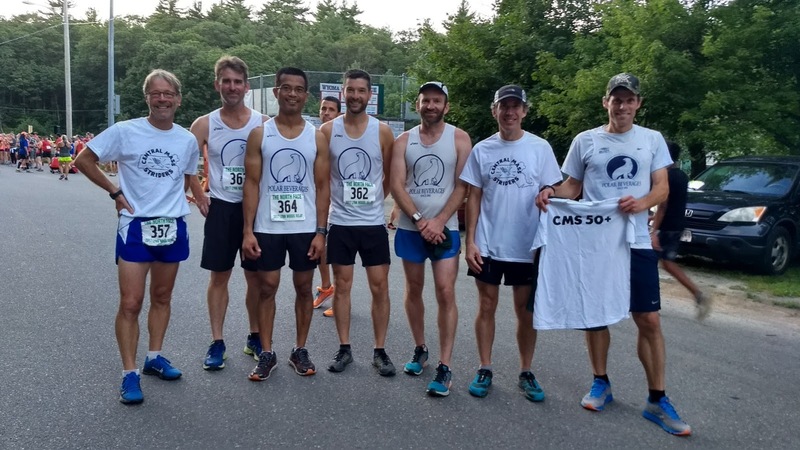 The Central Mass Striders took two first place team finishes at the Bobby Doyle Summer Classic 5 mile road race in Narragansett, RI. 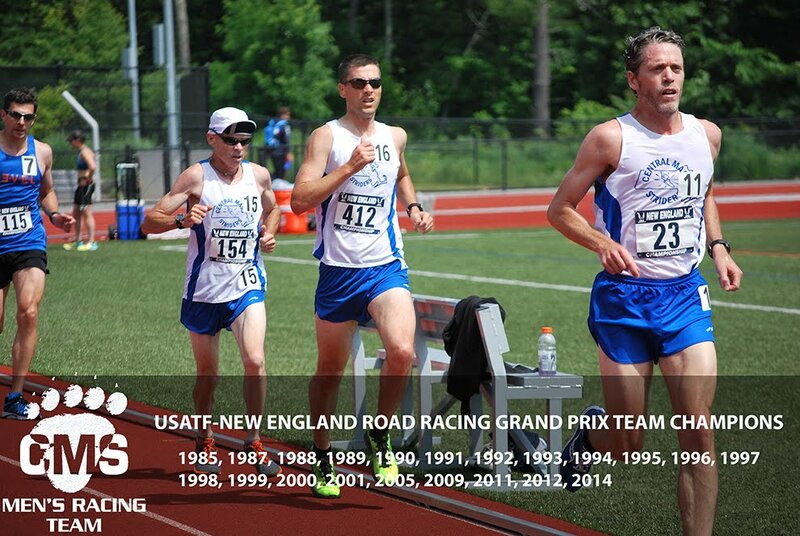 The open and masters teams were led by Josh Perks who ran a time of 28:40 on the rolling seaside course that differed from the 2015 and 2016 USATF New England Championship course. 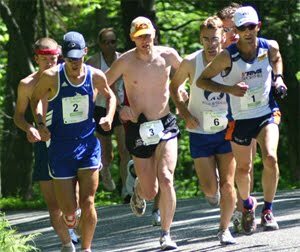 The course reverted back to a prior design that some participants felt was quicker. A flurry of CMS singlets trailed Josh. Robert Jackman crossed the line six seconds behind. Joe Shairs and David Principe followed five and six seconds later. Kevin Gorman scored as the 5th man 8 seconds later running 29 minutes flat. 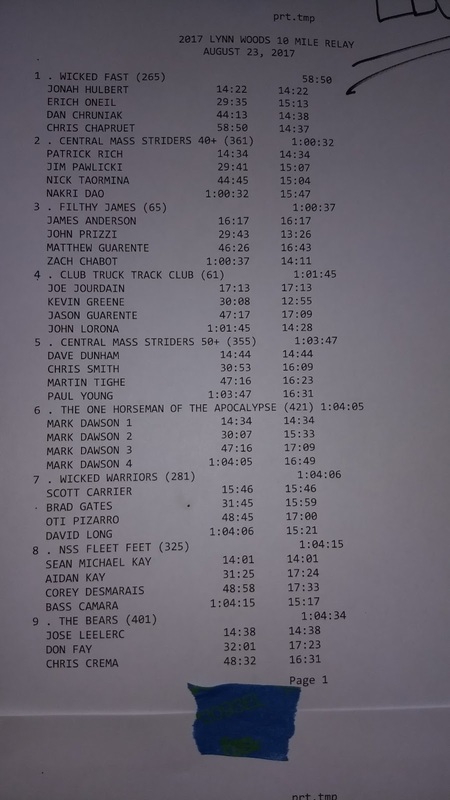 The top five open men finished within 20 seconds of each other. Nakri Dao ran a personal best with a time of 31 minutes. 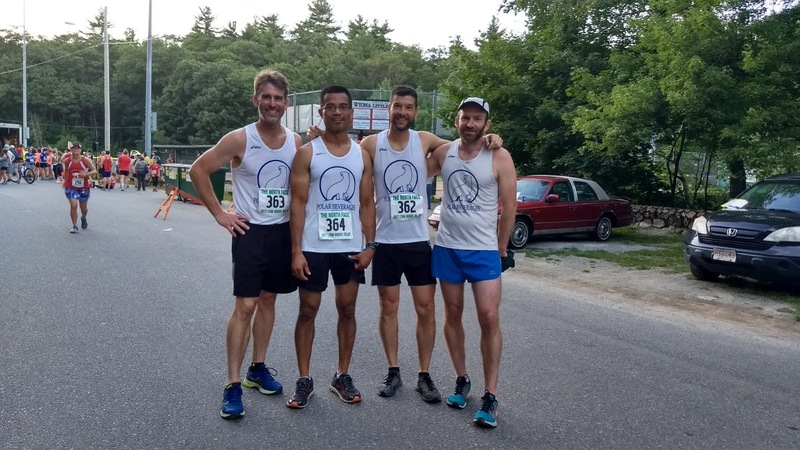 Four men secured age group placings: Josh placing 2nd in the 40-49, Joe Shairs placed 3rd in the 40-49, David Principe 1st in the 50-59, and Martin Tighe 3rd in the 50-59.